This is Scottish singer songwriter Dean Owens seventh album in a recording career that commenced with 'The Droma Tapes' way back in 2001. The recordings of Deans that I've heard over the years have always been more than worthy of the time spent repeatedly listening to the discs, something that is necessary to pick up all of the little nuances in his songs. 'Nuance' is often overlooked in music but in actual fact is something that sets apart the top writer/performers from the rest; the better the writer the greater the amount of nuance in their songs, something that holds the listener and helps create depth and atmosphere. Dean is able to jump from one style to another without breaking step something that enables a music fan to listen to his recordings over and over without becoming tired of the sameiness that many suffer from, ultimately giving him utter believability irrespective of a songs subject matter. Irvine Welsh, a man who knows a thing or two about quality writing described Leith native Dean as, Scotland’s most engaging and haunting singer-songwriter, a description no one who has heard his songs or studied his lyrics will dispute. Dean's vocals are always emotion charged whilst at the same time displaying a warmth and depth that makes whatever he sings entirely believable, unfairly giving him a huge advantage over most other singer songwriters! Add the fact that he is a thoughtful, high quality songwriter and it's difficult to imagine any music fan not falling for this tremendous recording. Even his live performances are full of rich depth and integrity, often having an almost mesmerizing effect on the audience, certainly the ones that I've been in. His 'generic' style is often quite ambiguous, usually containing varying degrees of a 'country' offshoot but not exclusively so, allowing him to follow his muse wherever it takes him, knowing he is a servant to his songs rather than trying to make 'country' records or 'folk' if it comes to that. The album gets off to a tuneful start on The last song with metronomic bass and percussion and the melodic electric guitar creating an Eagles like warmth on the intro then in comes Dean with an excellent vocal on a song written with Will Kimbrough and name checking a few of their musical heroes, giving the album a nice punchy start. The title track, Southern wind, is an intensely dramatic song that has an arid, wide open spacey atmosphere with the harmonies creating an otherworldly atmosphere and the keyboards and excellent lead guitar enhancing the already mighty sense of drama. It is a song that is a fine example of musicianship and arrangement skills whilst also emphasizing the quality of Dean's vocals as well as the haunting, almost gospel quality of the harmonies. When the whiskey's not enough starts with a gentle piano and acoustic guitar whilst Dean's clear precise vocals are further enhanced by dobro, bass and percussion with just a hint of twanginess on an excellent slow moody ballad that gradually builds in intensity and passion as the sense of hopelessness grows exponentially. Banjo, percussion and guitars get No way around it, an excellent mix of country, gospel, blues off to an evocative start on a powerful tale that has a deep rural atmosphere on a song that again benefits from the beautiful arrangement. The harmonies increase the power and sense of drama on a song that builds to an increased spirituality on another Will Kimbrough co-write. Final mention is of the slow moody tribute to the late great Mohamed Ali on The Louisville lip, with just vocal and guitar eventually being joined by restrained brass adding to the poignancy of an excellent, heartfelt song, written by Dean when he heard of Ali's death. 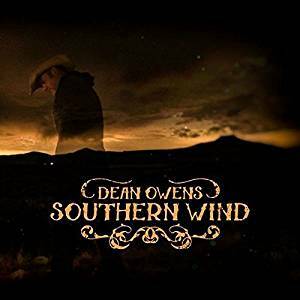 Usually when writing about a 'singer songwriter' it is enough to say they are talented in both aspects but in Dean Owens case it needs some qualification simply because his talents are so exceptional. His vocals are warm and expressive and able to evoke any situation he is confronted by in his songs, some of which over shadow even his vocals. In his writing he seems to have the ability to get to the heart of any subject matter making it believable whilst also coming up with high quality melodies. The man really is a unique talent who should be heard by all and I'm sure if he was the fame and fortune his talents so richly deserve would be well within his reach. This is a tremendous album by a man who started his career well and continues to improve on his excellence.